As promised, here's my updated skin care products post! I told some of you that this post was going to be up a couple of weeks ago but I got caught up with so many things. I hope I didn't make you wait for too long. Anyway, you all know that I used to have bad acne. I can't believe that it has been 2 years since the terrible breakout. Every time I look at myself in the mirror, I see imperfections but I can't help but feel grateful... extremely grateful! Some people may see me and see the flaws like some pimple spots, red marks and acne scars and visible pores... but when I see myself I see a successful case of an awful-skin turned good. You may be wondering about my current skin condition and the products that I am currently using. Take note, however, that I don't have the skin I used to have anymore. So that means the products that I'm using these days and lesser and milder. I took a photo of my skin a couple of weeks ago. This was before I religiously used the products I'll be mentioning. I was given these products (for free/sponsored) by a company called CitrusClear.com. I always feel skeptical to try brands and products that I don't know because I don't want to risk my skin. But the reason I gave it a go was because the main ingredients are citrus fruits. And we know how good citrus products are! The facial wash leaves skin feeling squeaky clean and elastic. It makes my skin feel clean and refreshed and the squeaky feeling is due to the "anti-oil" factor of it. I noticed that it also made the pimple spots become dry yet my skin was still supple and smooth. The moisturizer feels light on the skin. I try to avoid applying moisturizer in the morning because I dislike the feeling of sticky skin. This moisturizer is light. It could also be used as a base before applying makeup. It also did not make my skin break out. No irritations occurred, too. The only downside to this product is that it's not available in the Philippines. But pro for my readers that are from the US because you could easily get a hold of this product. Check out their website here for more products! Anyway, people who have tried this product will know that it's really effective. - May I use another variant of Eskinol / toner? Yes, you may. The magic in this solution is actually not in the cleanser but in the capsule. Just keep in mind to pick a cleanser that is known to be really mild. Eskinol has been around ever since I can remember. It's been known to be a mild and gentle facial cleanser. So if you could find a similar product or a toner that is as mild as it is, then you're all good. 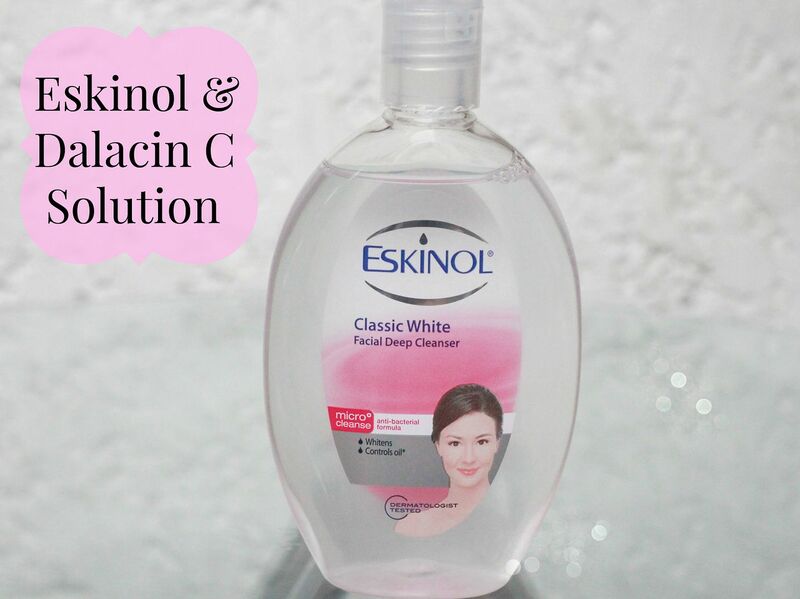 Any variant or color or size of the Eskinol cleanser will also do. - I am 13 years old, may I use it? First, ask for you parent's or guardian's consent. I do not want to recommend anything to youngsters yet as some acne breakout is brought about my hormonal changes and growth. But if your parents allow it, then by all means go! The product is effective yet mild enough for you young skin. - How often should I use it? I apply it 3 times a day. Once in the morning right after washing my face and applying my regular skin care and makeup routine. And then at night, I use it as my make-up remover. Some people use expensive makeup removers but this product actually works. I use it to remove the bb cream, foundation and powder that I have applied in the morning. Last, I apply it after washing my face and before going to sleep. So basically, I use it to cover my skin in the day and cleanse my face at night. This is the product that got me by surprise. I did not purchase this product so I really was not expecting anything. (I got mine from my BDJ Box) One day, I was looking through my things when I saw this in the box so I decided to give it a try. I was impressed because it actually worked. I've been using it since then. I don't use it on a regular basis, though. As I noticed that it could be a bit drying and could make the skin obviously peel-off. But I like it because it dries out pimples. 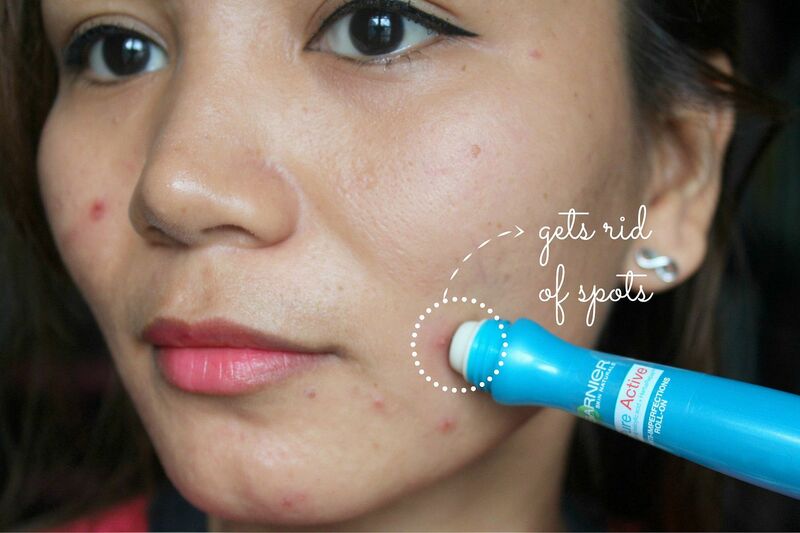 Perfect for those stubborn red pimple spots! So what I do is apply it at night and leave it on until the next morning. In the morning, the spot will be less red and will almost be dry. Amazing! It does have a stingy (cooling) feeling, though. But if you only apply it on affected areas, then the sting won't be very noticeable. When all the topical products don't work and when I need the spot to go away immediately, I run to Flawless. People from Flawless told me that this is what some actors/actresses actually do when they need a pimple to be gone for a shoot or pictorial the next day. 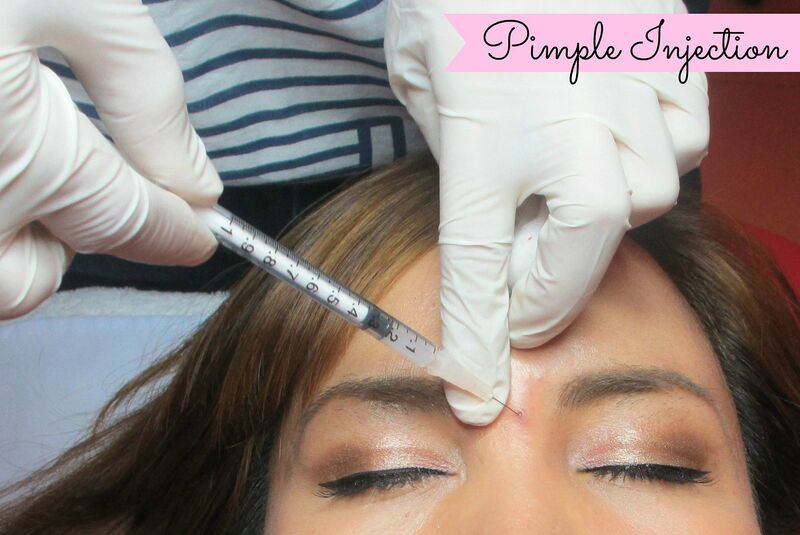 What's amazing about this procedure is that it actually dries out pimples fast! The downside is that it could be pricey, especially if you want to have more than 1 spot to be injected. It's also a bit painful. When I had the breakout, my doctor would sometimes inject around 20 (or probably 30) shots on my face. So just imagine the horror of the pain and the price. And I did that twice a month! I noticed that the needle left some marks and made the injected spot open up the pore. I do have a lot of open pores and one of the reasons for that could be this procedure. So my advice is to keep it at minimum. 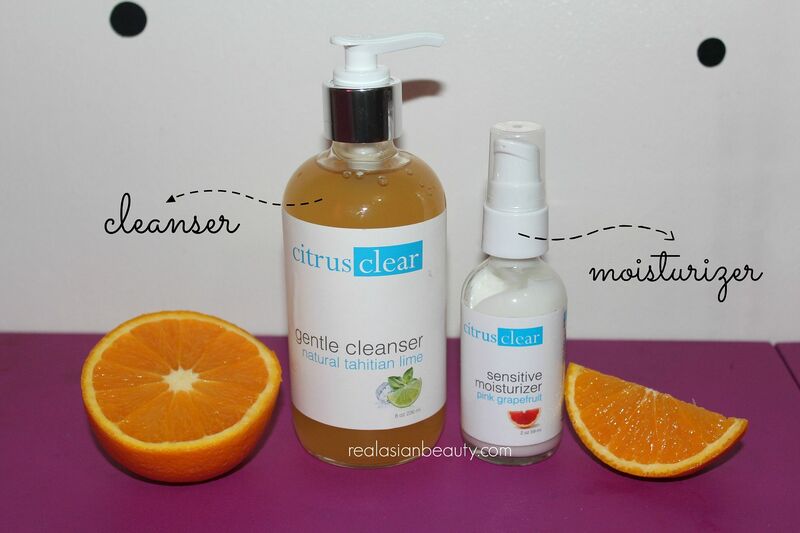 I used the Citrus Clear Facial wash (product #1) but I told you it's not available locally. So when I ran out of it, I had to resort to a local product. My friend once mentioned how effective Beauche is. 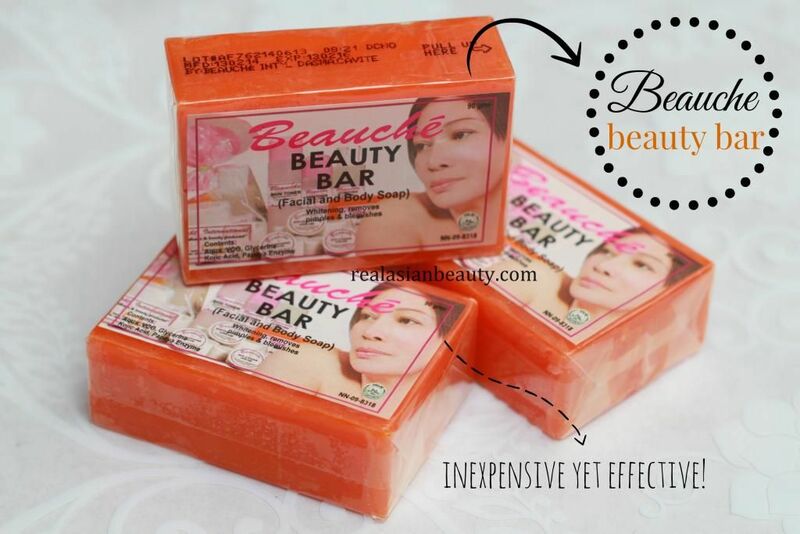 One day I was going somewhere when I randomly spotted a Beauche stand so I purchased a few bars. 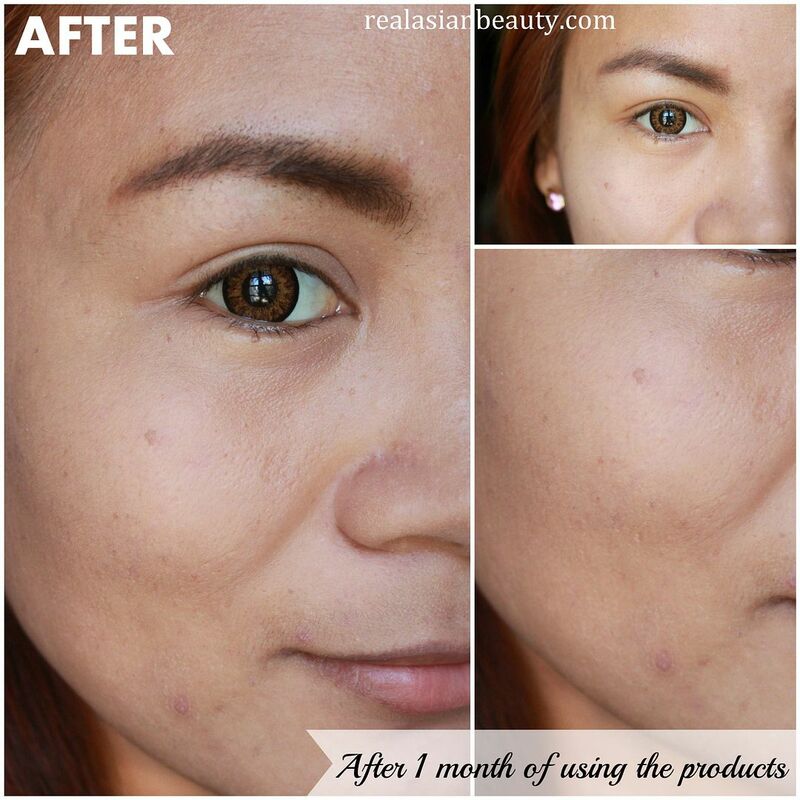 After a few days of using it, I noticed that the pimples dried out and my skin became lighter. I also left a few bars in the bathroom and my mom tried it. My mom is my critic and adviser when it comes to beauty products. When a product is bad, she tells me. When a product is good, she also tells me. I was surprised when one day my soap in the bathroom was gone. Apparently, she liked it so she took it. After that, we headed to the nearest mall to hoard 30 bars of the soap! So now you know how effective it is. Let me tell you a little secret, though! 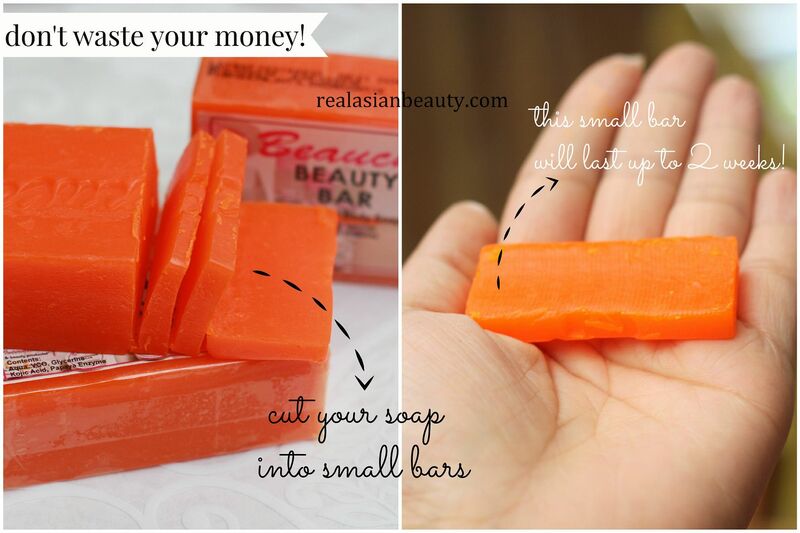 Do you know how you could make your beauty bars last longer? CUT IT! You see, when you put the whole bar in water, the whole thing dissolves. So the wiser move is to cut it in small bars like in the picture. Soaking the entire soap in water will make it last for about a week or two. But cutting it in small portions will give you a month's supply of soap! If you are a thrift like my mom, a bar could even last 2 months! I posted a separate review about this product. Read more about it HERE. It is important to use a product that is not pimple fighting but rather something that will soothe your skin. A product that will make you feel relaxed...like being at a spa or something. 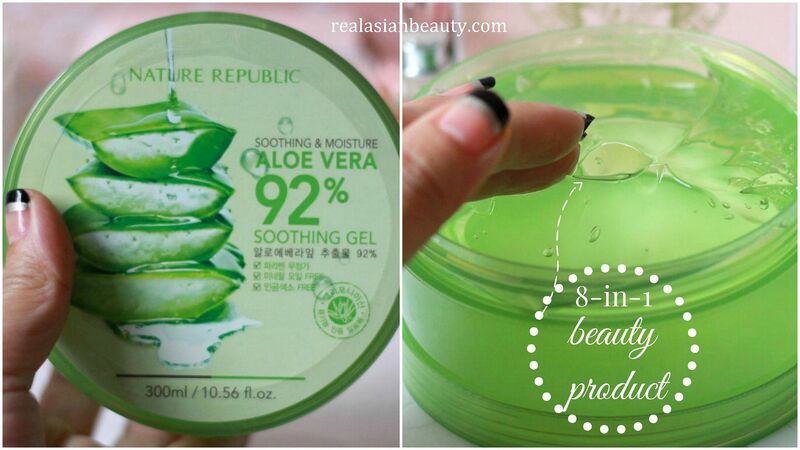 Nature Republic's Soothing Aloe Vera does that! This product is an all-in-one product that moisturizes, softens, relaxes, and treats the skin. It a really nice product to apply at night especially when you had a long and tiring day. My favorite about this product is it's smell! It just smells so good and I won't be able to explain it in words so you have to go get a pack for yourself. The product relaxes, soothes and moisturizes the skin. I leave it on at night (after applying the Eskinol + Dalacin C solution) and rinse it off the next day. I notice that it makes my skin supple and it also allows the skin to rejuvenate. Thus applying make up is a breeze because the product glides on my skin instead of being thick and cakey. I love this! 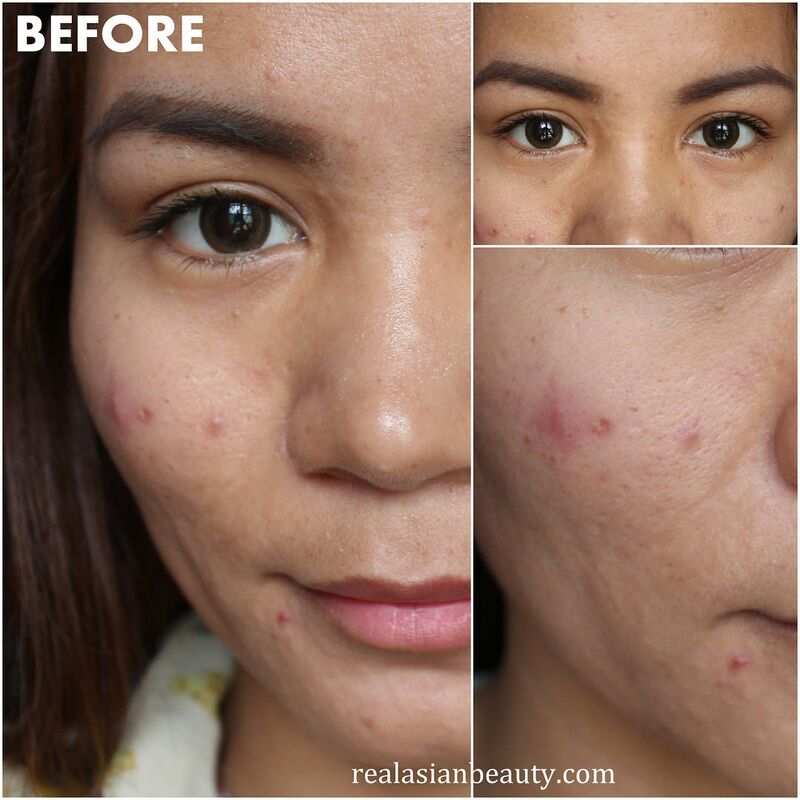 One of the factors that could be triggering yuour acne is the powder that you are using. I've tried so many powders so I know. There are powders that irritate the skin and there are powders that are not suitable for blemised skin as they tend to make the pimples, pores, spots and scars MORE visible. 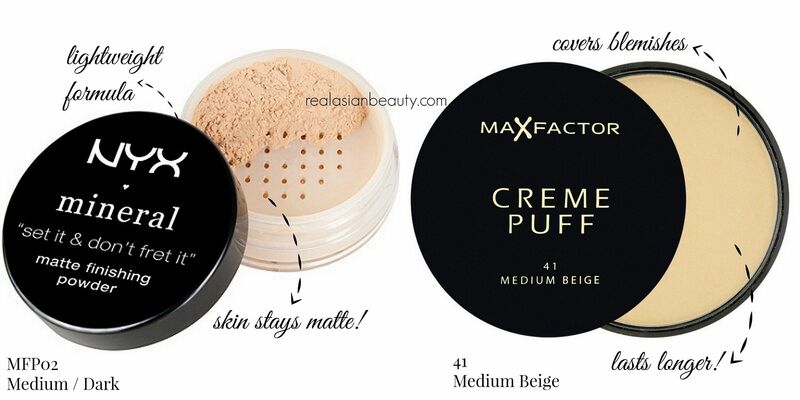 I found the 2 perfect powder for my skin type! NYX - this come sin a loose powder form. What I love about this product is that it really does make the skin appear matte. MATTE it is! I hate powders that claim to make your skin matte yet you still look like a walking fry pan even after applying it. This product removes any traces of oil and shine! The only downside to loose powder products is that you waste some of it when you tap the brush, open the cap and/or accidentally flip the container. And it also doesn't last long. Mine also lasted for 2 weeks of daily use. MaXfactor - I've been using the very first pan that I got and that was like 3 months ago. Looking at the pan now, I think I've only consumed half of the entire product. This product is so amazing! It blends on my skin and fills up my pore therefore making them look less visible and less open. It also does not cake even if I sweat. The coverage goes from light to medium, depending on your preference. It also feels light and smooth on the skin. Love this product! So those are all of the products I'm currently using! I'm sorry of I talked a lot. (lol) I just wanted to explain every product in detail. Just remember that when you use a product, you have to use it religiously or not at all. Also, when trying a new product, give it 3 days to 1 week to fully observe it effects. Some products will cause breakout before actually working, so you might want to consider that, too.